I have never once been mistaken as someone for whom less is more. It doesn't even make sense mathematically. 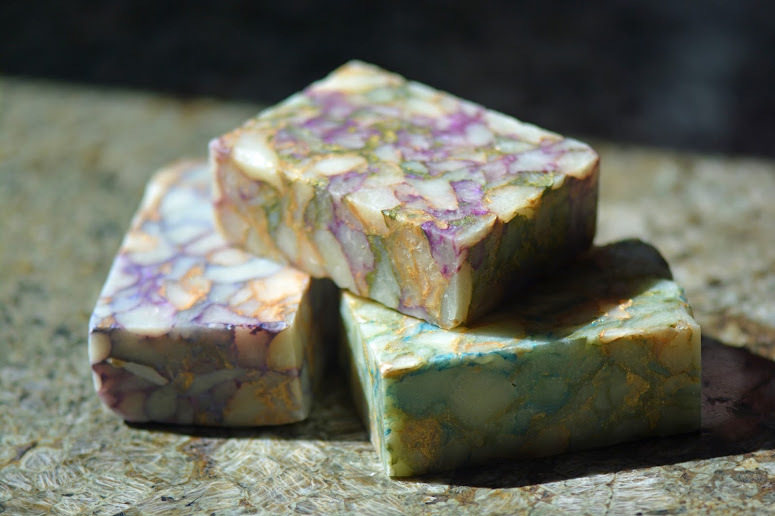 So it wasn't that much of a surprise when Amy said my Easter-inspired soaps weren't exactly rustic enough for this month's Rustic Soap challenge. I had been thinking: it's an egg. Like on a farm. Farms are rustic, right? And I'd shaped these by hand, like without a mold. Isn't that rustic? Hmmmm. I tried a few more in what I thought were earth tones, but my family took one look and declared... Nope. Still not rustic. So, I put them aside and made the next batch using only clays and tea powders for colorants. Sadly, they don't sparkle one bit. See? Not even a little. This challenge included some sort of packaging, and again, I was stumped. I consider shimmery organza bags and velvet ribbons to be sort of a baseline, so what was I to do? Don't get me wrong, as it still took me forever to come up with this. Striped cotton ticking in tan and black, and a custom, home-made label printed on simple kraft paper. The background printed too light to tell, but it's intended to look like an old fence. The fonts are Janda Apple Cobbler and Bernard MT Condensed. I skipped my usual sodium lactate and used 40% water, which is almost twice as much as I normally do, so they take much longer to harden than I'm used to! I like to make up a big batch and keep it in a gallon ziplock for when I (or my daughter) need some soap dough to make something with. 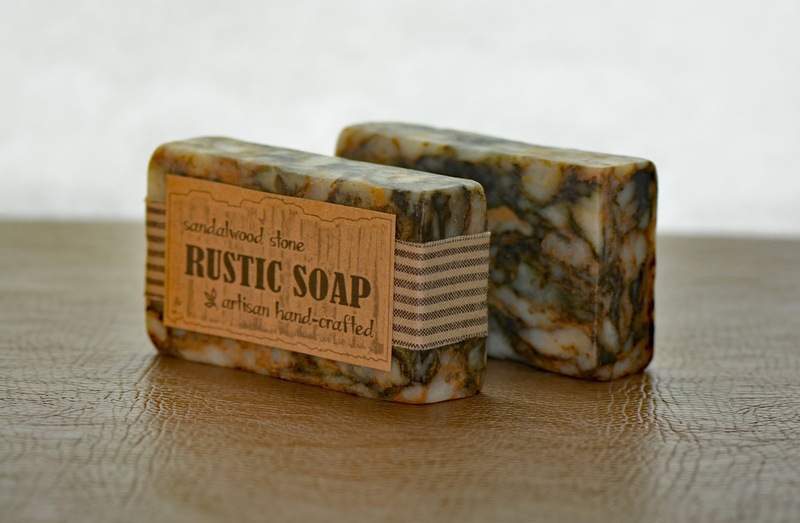 I usually scent it with Cucumber-Melon (from Nurture Soap), as everyone loves that one, but I did this batch using Indian Sandalwood (from Nature's Garden) as it's more exotic and the scent lasts forever. Like years, even unwrapped. The process is pretty straight forward, and is based on the same idea as a pencil line. But, it does take a bit of practice to get the ratio of colors right, and to keep the sections from coming apart as they dry. Thanks, Eva! Yes, soap dough to me is just a bag of soft, squishy soap. I've been experimenting with recipes to get it to behave more like polymer clay, but it just won't cooperate! I had to LOL at "Sadly, they don't sparkle one bit." You did a great job at moving out of your comfort zone to create something more bland, but no less beautiful!! And you're already borrowing the technique from next month to make it happen! I love the granite/stone look - truly sensational work, Claudia!! Just can't seem to get the timing right. :) Now I'm going to have come up with something fantastic to make! These are beautiful! Seriously, loved all of them, but the granite look of these seriously appeals. Awesome job! Thank you, Moira. I'll try to make some more jeweled-tone ones and post those, too. Breathtaking, so love these !!! Thanks, Toni! They are really fun to make, too. 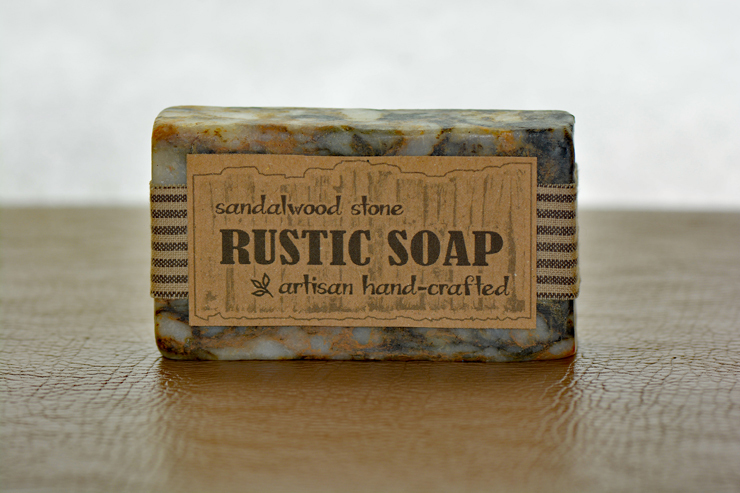 «Rustic» found you!! 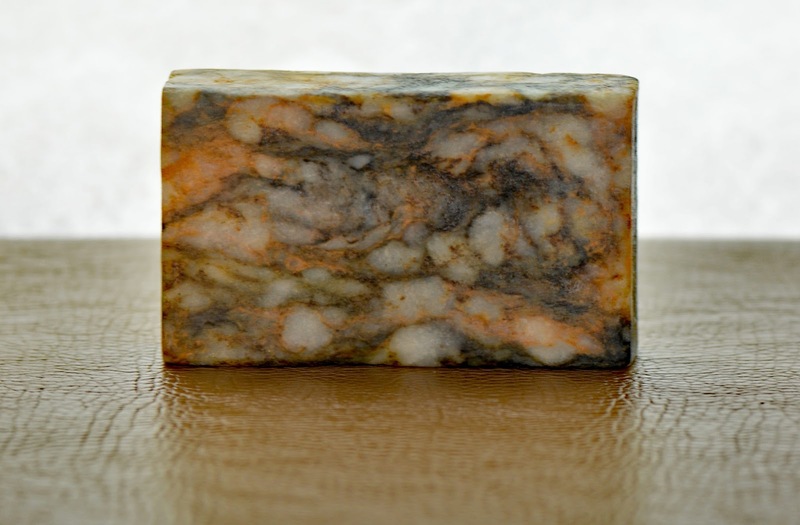 Your soap is perfect and I love how you made it! It is so creative!! Great, great work ! Thanks, Helene! Isn't amazing what we all keep managing to do with soap? I swear, it's endless! 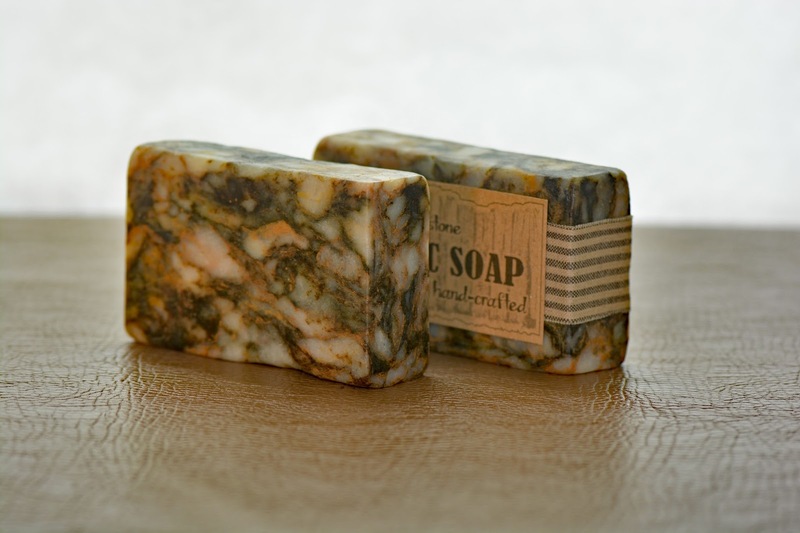 I love the way you write your blog and really enjoyed reading about your soap journey. I love the color and texture of these. They make me want to try the soap dough (oh, wait, that's next month, yikes!) Anyway, I like your rustic label. The Janda Apple Cobbler font is perfect! Thanks, Leilani! Soap Dough is really fun, if a little frustrating, because it doesn't act like dough. I'm glad we're doing a challenge on it, as I'm sure one of us will figure out how to make it even better! You can just use Canola (133) in SoapCalc as a stand-in for Mediterranean blend. 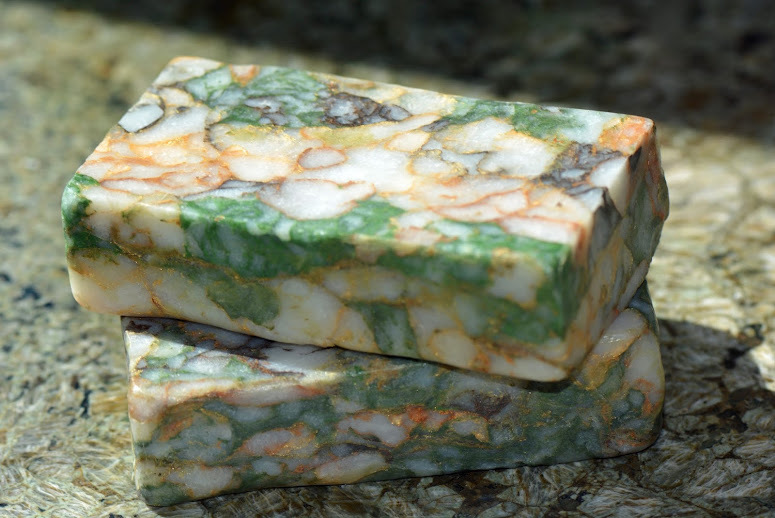 Your soap with mica is stunningly beautiful !!! And let it does not fit the terms of the contest, but it's great !!! Soap with clay is a great solution !!! I like the inscription on the package, it's in such a rural style! Good luck!!! Thank you, Maria. Yes, the sparkly ones are much prettier, IMO, but I can see how they didn't fit the guidelines. And even though the clays and tea were so drab, it was a fun challenge to see if I could make them work. You nailed it, dearest Claudia! Even though you had to tone down the sparkle (and such a shame, since sparkles are just the cat's pajamas, IMO) the rusted granite look of the design perfectly captures an earthy, weathered tone. Adding the brilliant design of the label truly cements the entire design. Another fabulous job! I know, right? Sparkles are just everything! Thanks, Debi! 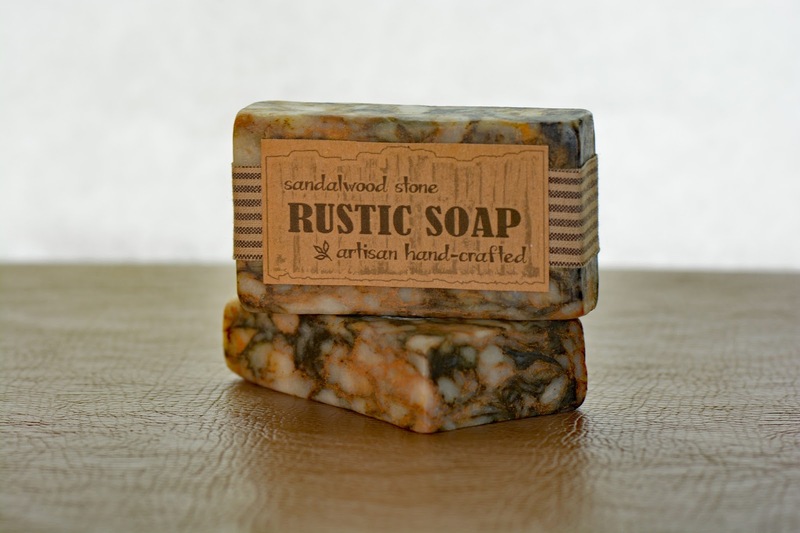 Ah, how to make sparkle-less rustic soap. I feel your pain. I had to sneak some shiny polka dots into my last layer of ribbon, I couldn't bring myself to use the plain black! That being said, just pretend you are channelling the impeccable Coco Chanel- "Before you leave the house, look in the mirror and take one thing off." Sometimes it's ok to give the sparkle a day off (but only one LOL). 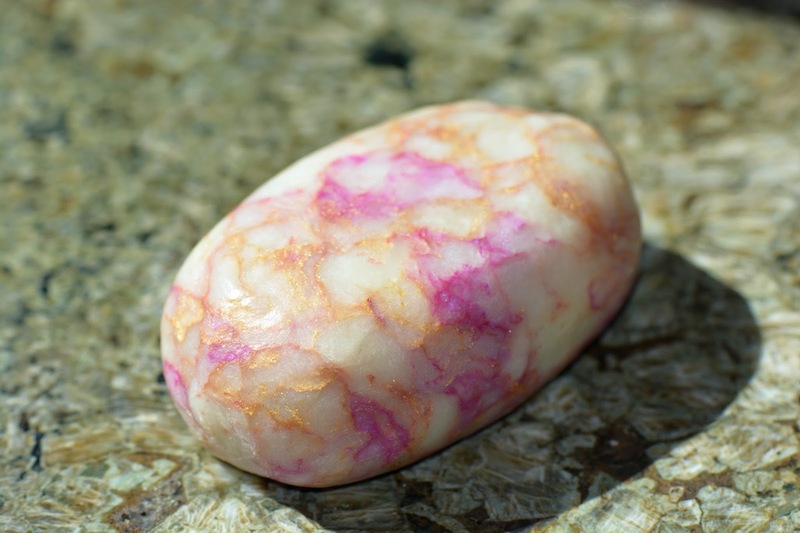 Beautiful soap, I was glad to see your name back in the Challenges! Your soaps turned out so well, Claudia! I absolutely love the colours and texture. I enjoyed reading your post too. 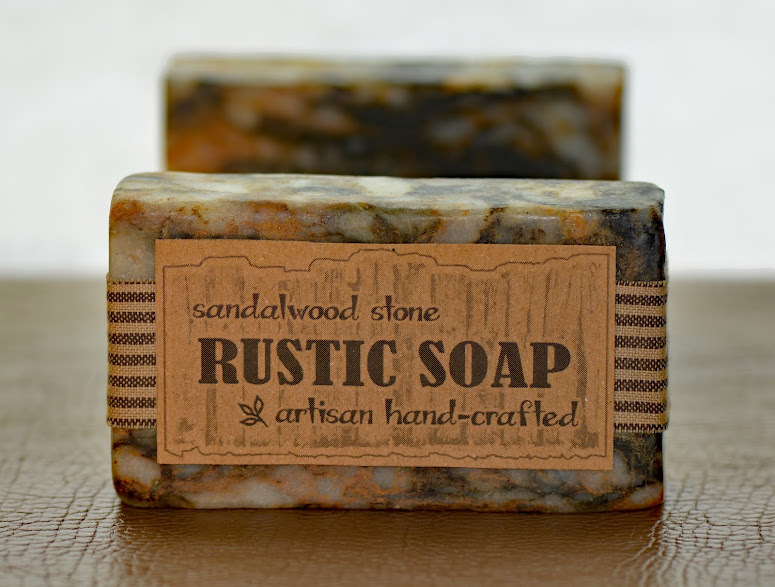 Your packaging turned out really well too; I actually like how it came out lighter, it just adds to the rustic look. Thanks so much for sharing your creative journey and process, and all the best in the challenge! These are fantastic!! I love the stone look and you hit it bang on. Congrats!! Thank you for making this soap, Claudia! I really love how it turned out, and it does look rustic to me! Thank you, Jelena! Every soap you make is amazing, so that means a lot to me! Oh I'm so glad I came across your blog once again. A link from pinterest! Claudia I love the rustic Easter egg in pinks and gold and the other easter bar in lavenders and green! Beautiful!